Welcome back to the Free Library of Frightadelphia's bloodcurdling blog during this most haunted of holiday seasons, Halloween! 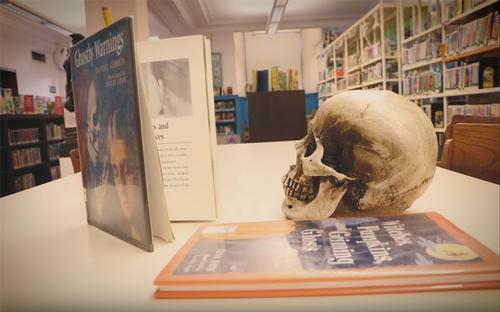 Don't let that stop you from visiting your neighborhood library for Halloween celebrations ranging from creepy crafts and spooky storytimes to costume parades and even a Zombie Prom! 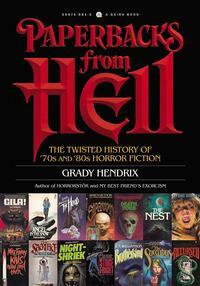 Don't forget to bring home some terrifying tomes from our chilling catalog collections for some nighttime reading this All Hallows' Eve. Whether it contains monsters, zombies, ghosts, witches, graveyards, haunted houses, or the supernatural—we're just batty about boo-ks! there's plenty of children's Halloween-themed videos to choose from or more macabre movies for adults. And if you need a spooky soundtrack for the big night, there are plenty of scary sounds and putrid playlists that can be found on the Free Library of Philadelphia's Spotify channel! This skull has a library card. Do you? Paperbacks from Hell by Grady Hendrix, a trip down memory lane of the mass paperback horror fiction boom of the 1970s and 1980s. 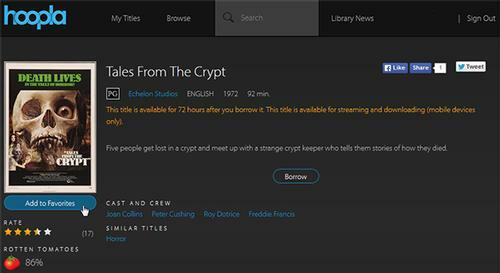 1972's horror anthology Tales from the Crypt, available for streaming on Hoopla. Great blog post and super fun movies! Love the Free Library to DEATH!